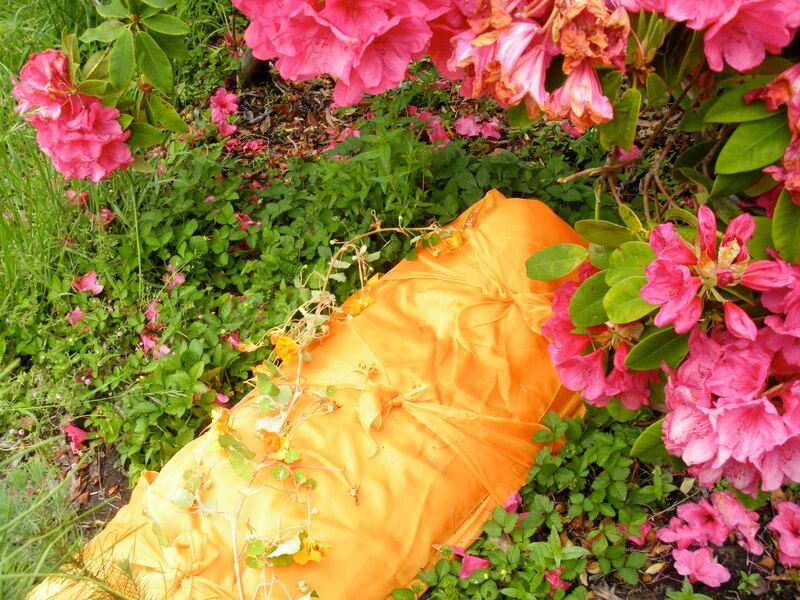 Named after Tibetan Buddhist Deities, Kinkara, special protectors of the Charnal Grounds,KINKARACOä Green Burial Products produces biodegradable burial shrouds, cremation shrouds, and other ceremonial funeral products. Founded in 2005 by Esmerelda Kent, the company is 'devoted to the sacred in preserving our Earth's natural resources'. Ms. Kent has graciously agreed to share a conversation with The Daily Undertaker. Pat McNally: You advocate for survivors to take a greater role in participating in the physical and symbolic tasks of bringing their loved ones to their places of rest. Obviously a shroud is different from a casket in many ways, but what is the difference experientially between placing, carrying and burying a person in a shroud rather than a casket or coffin? Esmerelda Kent: A shroud is soft and shows the actual outline of the human form unlike a casket. You are never unaware of what is taking place and that the shroud contains a human body. This “awareness” keeps the experience more authentic, spiritually conscious and real which some people want. 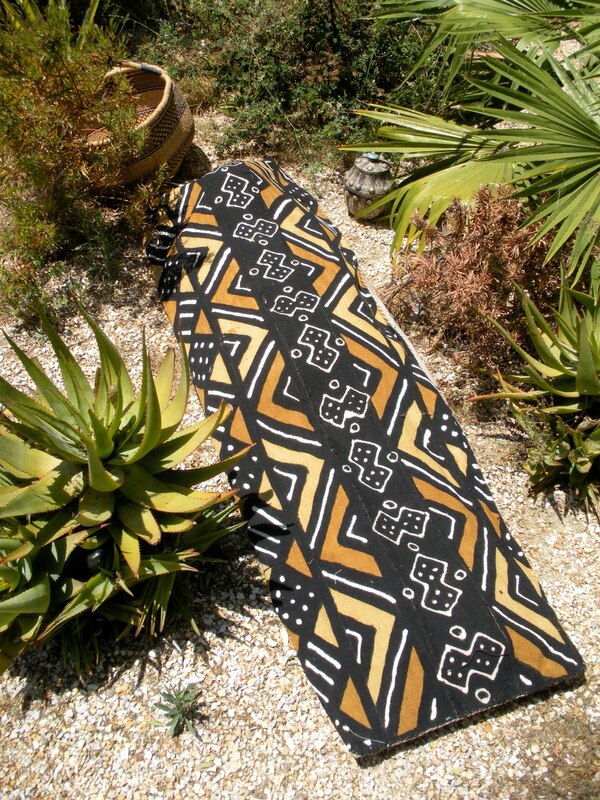 Our shrouds are sometimes used by the family to prepare a body and then to remove the body from the home. In some cases the families participate in the actual washing (with our KINKARACO Green BurialWashä and shrouding the loved one there at home and have the funeral director pick the body up after a home service. However in most cases the funeral home washes and shrouds the body . Most actual green burials do not have viewings. The ceremony takes place graveside often with the family participating in the lowering and covering of the grave. The shrouds have handles for carrying and straps for lowering when used alone without a casket that are unfurled slowly to place the shroud in the grave. Pat McNally: There is long history of shrouds in many traditions, as you point out on your website. These shrouds were generally long strips of cloth, wound around the deceased. The design of your shrouds is more complex. Would you explain the ideas behind the features incorporated into your designs? Esmerelda Kent: With shrouds not being a traditional part of burial practice in America the latter half of the 20th Century, wrapping a shroud is unfamiliar to most funeral homes outside of the Muslim or Jewish Faith. 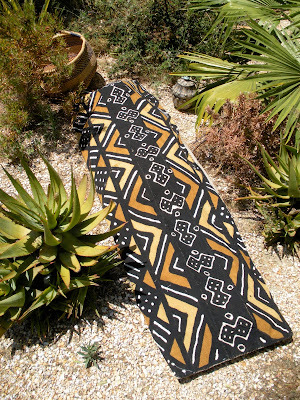 When I began working in a green cemetery in 2004 we first used blankets, quilts and cloths given to us by the family to act as “shrouds” or long yardage of biodegradable natural fabric. They looked unattractive and were very difficult to lower into a grave on casket straps so we often had to hand the body down into the grave with the help of grounds crew. Our shroud design actually came to me “in the field” so to speak from this experience that incorporated all I knew was needed –the lowering straps attached to the shroud with a wooden “spine” sewn into the back for more stability as well as handles for lifting and carrying. This is what we call the Endfinity älowering device or Back #1 for green burial without a casket. Back #2 has no straps or wood, just natural woven handles for cremation or placement inside of a casket . The shrouds replace clothing and are so much easier than dressing corpses in street clothes. 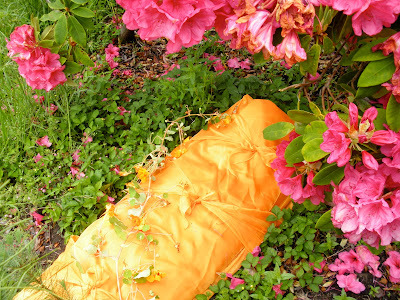 Other features include Herbal linings of Lavender, Rose petals or White Sage. The shroud of Jesus Christ contained the herbal substances of Myrrh resin and Aloes wood . We also offer the Heart Pocketäwhich is a pocket on the face cloth piece that rests on the heart and holds prayers, photos, poems, etc. for both burial and cremation. Pat McNally: There are a lot of products in the marketplace these days for people interested in more natural funeral services, but many consumers may not be aware of all their options. What can funeral directors, craftspeople and other providers do to make families aware of their options without overwhelming them with the sheer volume of possibilities. Esmerelda Kent: The first thing a funeral home can do is eliminate unpractical unnecessary gimmicky products that are conceived by people who have never done funeral service and that would never work in a funeral home setting. I saw a “coffin” recently shaped like an egg for people to be buried in the fetal position. When I explained that the person would have to be practically hog tied at the moment of death to fit in it they understood that good industrial design has to serve function. At the same time one of the biggest mistakes in my opinion that funeral homes have been making after the initial recession in 2009 is gathering information about new products and waiting until a family comes in asking for it without investing in new products. Our products are new. People are not going to ask for them. They need to see, feel and smell them! A picture and vague description will not sell new products. There is a complacency to change, fear of spending money and an arrogance, that as we all know many funeral homes now regret having initially ignored the cremation demand and the slow industry response to that phenomena. Offering green options is the same thing. Funeral homes need to be pro-active. They need to support PRACTICAL sustainable products. Many feel importing caskets fromChina and Europe is hardly “green” coming across oceans, across the country on trucks, and find nice woodworkers locally to build fine simple caskets. Others don’t care. Funeral homes who want to promote green options need to commit to new “green” products and carry them in stock. Our solution is providing a simple Intro Pac containing 1 burial shroud, 1 cremation shroud, 2 bottles of Green Burial Wash and a LOOK BOOK. Funeral homes that purchase this package do much better than those who keep information about our products “on file”. Pat McNally: What kind of relationships do you have with funeral service providers, and how do you think these relationships can improve to better serve families? Esmerelda Kent: I have to say I love our funeral homes. I take a lot of time responding to every inquiry we receive on the internet from the funeral homes and make sure they understand the value of our products. Often there is a young (often female) “internal champion” in the funeral home who convinces the owner to provide these new products. It is one of the joys of my life that I am able to be “in touch” with so many states across the country selling these products. There are so many smart, funny, kind and wonderful funeral directors out there. I vouch for my funeral homes. It is part of our business model to stimulate local American business so when individual customers get in touch with us online we inform them of the nearest funeral home reseller of our products and send them to our friends there. That way we keep an ongoing relationship with the funeral home and the customer can go see and feel the products in person and meet our friend the funeral director. Pat McNally: Your web site provides a list of green cemeteries throughout the country. Many parts of the country are not currently served by a green cemetery, and those interested in a green burial may be understandably reluctant to bury out of their area. Do you have any advice for people in this situation? Esmerelda Kent: First off let me explain that all of our products are green but they can be used for any type of funeral service- not just green burial but burial within a casket, cremation and removal from home and hospital. Believe it or not people have purchased herbal shrouds and put their embalmed relatives in them inside metal caskets in traditional cemeteries! What people do with our products is none of my business. That said, many new green areas are opening up in traditional cemeteries around the country everyday. I can’t keep up with it and there are at least twice as many green cemeteries now than are reflected on our website. Many small cemeteries do not require vaults. Many traditional cemeteries will let you place a cement vault upside down over the shrouded body touching the earth or just a liner with no top or bottom. Many people are turning acreage into green cemeteries and people call me about how to do this regularly. This is a state by state issue of course and the Green Burial Council and Memorial Ecosystems are the most experienced in how to do this. This is consumer driven. Where there is a will there is a way. Ask for what you want and don’t take “NO” for an answer! Pat McNally: Some in the funeral industry claim that green options are something that generates a lot of press and interest, but are seldom actually selected by families. How would you respond to this thought? Esmerelda Kent: I think the funeral industry’s expectations are too high. I think some funeral homes are looking for a savior to get them back to the “good ol’ days” of huge profits. Green burial is not going to save the funeral industry. It’s going to bring the funeral industry into the sustainable 21st century. 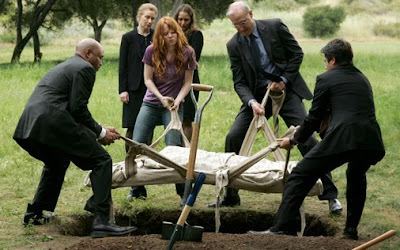 The press regarding Green Burial began back in 2000. The funeral industry didn’t take note ‘til 2008 and become interested in earnest for the most part until 2009. This is new. It takes time. I see green burial as secular people having the same options as Muslim families or Jewish families. People who have lived natural lives, eating organic food deserve to be “composted” if they so desire. This is just another option. It is not the big solution. It is a more common sense solution that more and more baby boomers will choose along with ever growing cremation. Pat McNally: Your site encourages and gives advice on ceremonial washing of the deceased. This is another practice that has a long history in most if not all cultures. What do we have to gain from returning to this practice? Esmerelda Kent: It is beautiful. It is ceremonial. It is spiritual. It is ablution. It is non-invasive and it smells nice! The family often gets involved with this process when loved ones pass away at home in hospice. It is a great ceremony of care and closure. It is intuitively female in nature. Pat McNally: Many in funeral service, even those who advocate for increased family participation, dismiss home funeral ideas, saying that American families just cannot handle the realities of dealing hands on with the dead. We are told that viewing the body is an important step in accepting the reality of death, but that the reality of actually moving, or caring for our dead is too much for us. What are your thoughts on survivors addressing the physical realities of death? Esmerelda Kent: I personally chose to have both my children at home in the bedroom. In order to do this my husband and I studied and did extensive preparation and were completely aware of the reality of what we were in for. Home childbirth is certainly not for everyone just as home funerals are not for everyone. Birth and Death are the most intense human experiences we have. It’s messy. I have seen people get in way over their heads when a “Home Funeral” is more of an intellectual theory and political exercise and they do not have proper professionally trained help. I have personally sold shrouds to people where they were not prepared and things did not go well. This is a great frustration to myself and funeral directors involved. Home funerals are amazingly meaningful rich experiences when people are prepared and they are done right. I am constantly advocating for funeral homes to offer a “Home Funeral Package” or “Ala Carte home funeral services” such as listing charges for just transportation, just filing paperwork, etc. Many people would like the help if they thought the funeral director would do just what they need help with. Not everyone wants to drive Mom to the cemetery in the back of the SUV! The biggest thing right now is for funeral homes to be HUMBLE and do whatever people want that’s legal. Add more options, be flexible and most of all listen & learn from your customers. Pat McNally: What effect would you hope that your work and products would have on the ways we think about and participate in caring for our dead? It is my personal desire to be of some small service to humankind while I am living. I believe in ceremony and in honoring the life of a human being. Nothing is more tragic to me than a direct burial or cremation with no one in attendance. 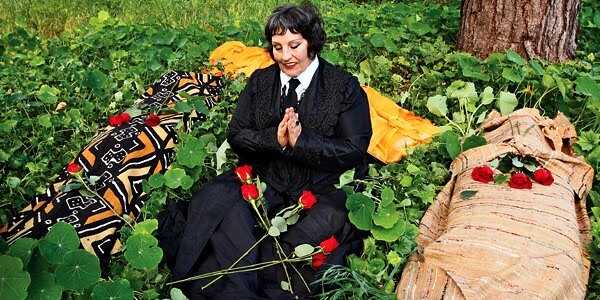 KINKARACOägreen burial products exists to help offer 100% natural ,beautiful, caring, spiritually conceived ancient and sacred products to families to be able to participate in the death of loved ones. At the same time we are offering NEW, easy to use, simple (it is our goal to replace dressing corpses!) low cost , attractive funeral products for funeral homes that take up very little space. So far it has been a positive meaningful experience for myself, the families , and the funeral homes and I am very grateful. Pat McNally: Thank you so much for sharing your thoughts with us! For more information on Kinkaraco shrouds and other products, as well as some "how-to"s and information on the history of shrouds, please visit the Kinkaraco website, and the April 2008 American Cemetery article .